Home » Workhuman Blog » Are You the Next Great WorkHuman Speaker? Are you passionate about bringing more humanity to the workplace? Do you have an interesting story to share or body of research that would resonate with a forward-thinking audience of HR and business leaders? We want you! Timing is running out to apply to be a breakout session speaker at WorkHuman 2019, March 18-21 in Nashville, Tenn. The deadline is this Thursday, May 31. WorkHuman may have grown 500% in size since the inaugural event in 2015, but it is described by attendees as one of the best HR “un-conferences” – the only conference of its kind. If your session is selected, you’ll join the ranks of well-respected past speakers such as Michelle Obama, Salma Hayek Pinault, Amal Clooney, Brené Brown, Simon Sinek, Ashley Judd, Ronan Farrow, Tarana Burke, Dr. David Rock, Susan Cain, Julia Louis-Dreyfus, Shawn Achor, Arianna Huffington, Michael J. Fox, and Adam Grant. Familiar with available research on the value of gratitude, appreciation, and recognition in the workplace. Experienced, engaging, and comfortable speaking in front of large groups. Passionate about sharing expertise and primary research on topics in HR, leadership, positive psychology, and building a best place to work. Able to add to our WorkHuman knowledge in the broader topics of well-being, connection, purpose, and communication at work. Willing to partner with Globoforce and the WorkHuman team to deliver the best possible content experience and relevance for our audience. Available to attend the entire event and engage with attendees. Committed to sharing WorkHuman with your social networks. 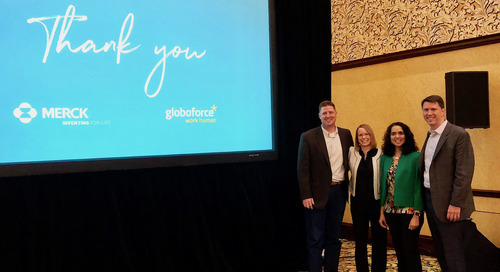 Interested in partnering with Globoforce and staying connected to the WorkHuman community beyond the conference itself. 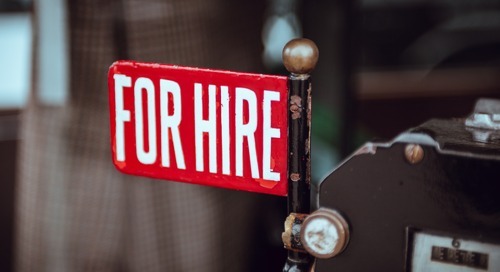 Available onsite for a 10-minute video or WorkHuman Radio interview (for potential usage in future WorkHuman video content materials and event wrap-up video). All submissions will receive a reply by Sept. 30, 2018 to confirm if the session has been accepted, is in consideration, or had been declined.